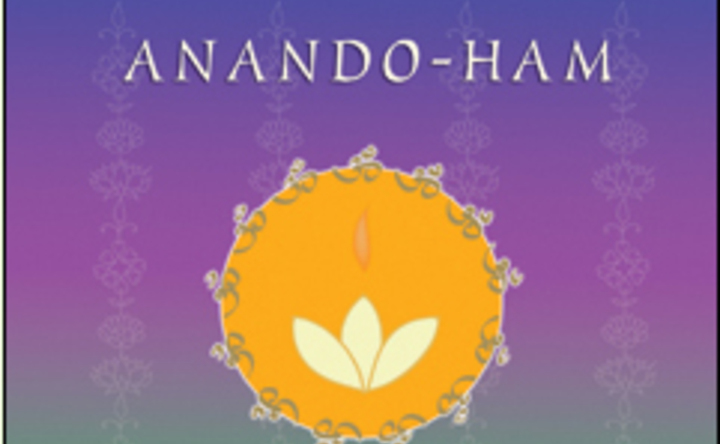 Anando-Ham offers inspiring Yogic affirmations of wellbeing and oneness and is the ideal background music for yoga classes, massage,or therapy sessions, and for home, car or any environment in which you wish to feel calm yet inspired! Calming at the outset and the finale, and more upbeat in the middle, this album of mantra accompanied by Indian flute and drumming takes you on a journey with fluid transitions and recalled melodies. The mantras have been chosen by Yogrishi Vishvketu as powerful yogic affirmations that can be used also singly in the form of japa to inspire one throughout the day or as a theme in the yoga class setting. 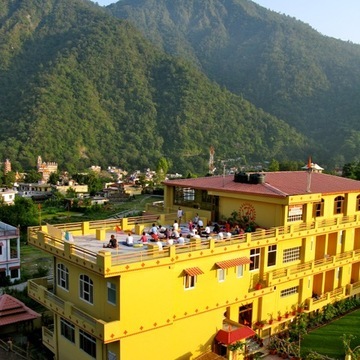 The Anand Prakash Yoga Ashram is a registered charitable trust with a special focus on Yoga and education. We welcome you for an inspiring stay in this spiritual community!The vision for the ashram is to create a comfortable, nurturing sanctuary for spiritual seekers from around the world where they will have safe, clean food and water, and guidance for their yogic journey. The ashram also promotes Akhanda Yoga, the holistic, non-sectarian yoga teachings of its founders, in which students are encouraged to practice all aspects of the diverse tradition of yoga: satkarma, asana, pranayama, Vedic mantra, kiirtan, and meditation, as well as to contemplate various traditions in yoga philosophy: Vedanta, Tantra, Samkhya and Classical Yoga.The ashram is located in the dynamic international village of spiritual seekers in an area of Rishikesh called Tapovan, about 250 kms. north or Delhi. The Ganges river valley here is surrounded by mountains on three sides, and it is considered the gateway to the Himalayas. Tapovan is an ideal location for yoga sadhana; it is named for its heritage as a site for spiritual disciplines. Tap, represents tapas, the practice of spiritual disciplines. Van means forest. So, Tapovan is the forest of the yogis. Anand Prakash is on a headland above the banks of the Ganges, one of the first open spaces down river from the source of the Ganges. The wind and all the prana carried from the Himalayas whistle down the river valley and blow out over this headland invigorating the ashram area.